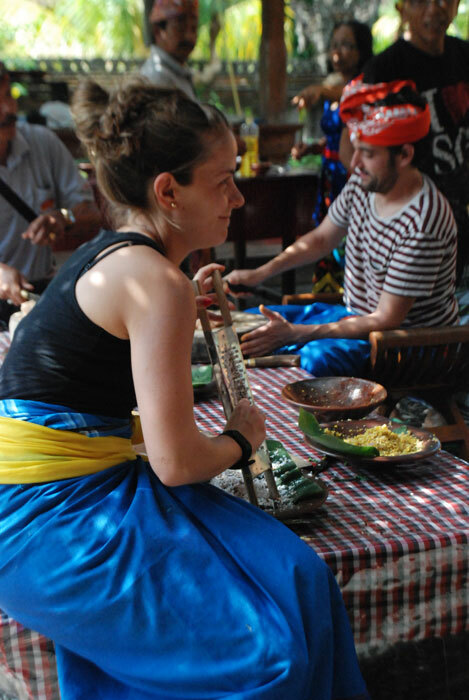 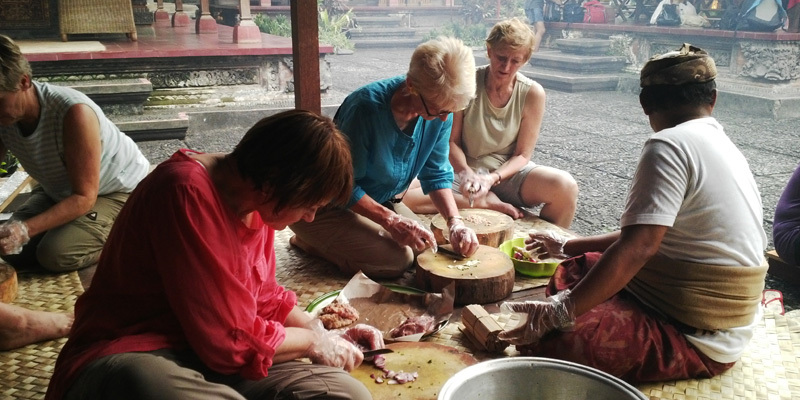 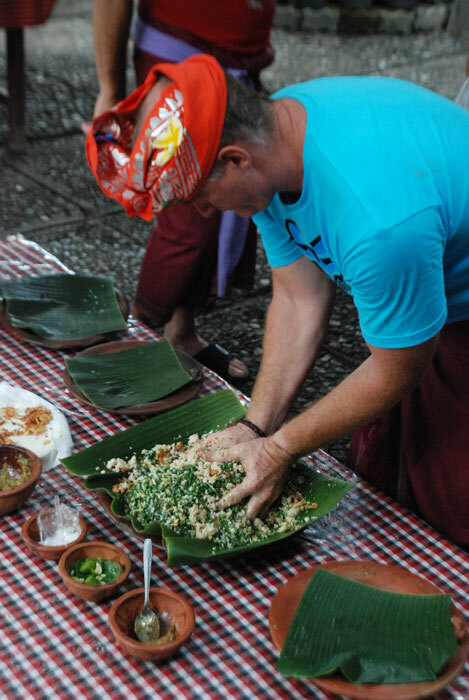 Experiencing first hand cooking Balinese cuisine will be a memory that is hard to forget. 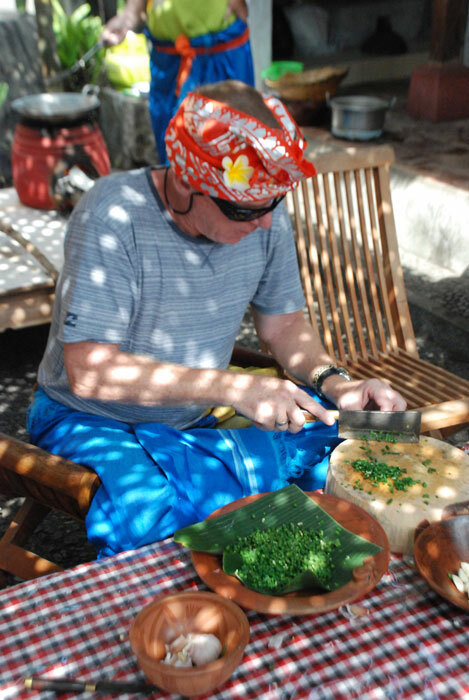 You will be introduced in detail to a variety or ingredients and how to cook them. 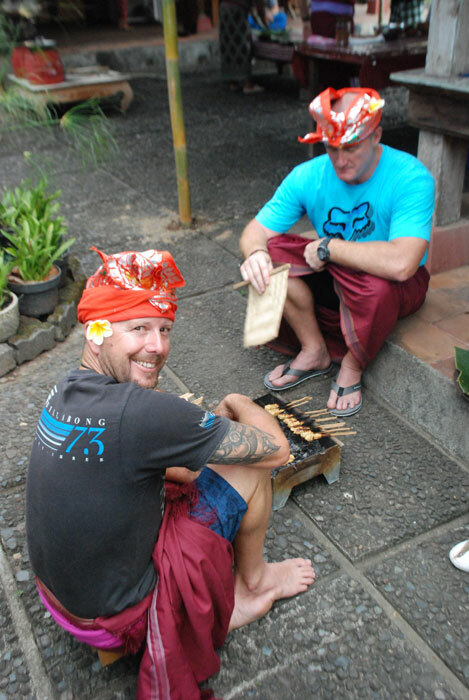 You will then cook some traditional Balinese dishes, such as sate lilit (satay made from minced meat or fish, wrapped around bamboo sticks), sate tusuk (satay on skewers), lawar (mixture of vegetables, grated coconut and minced meat mixed with rich herbs and spices), pepesan tum (minced meat or fish mixed with herbs and spices, wrapped with banana leaves), gerangasem (spicy chicken soup), etc. 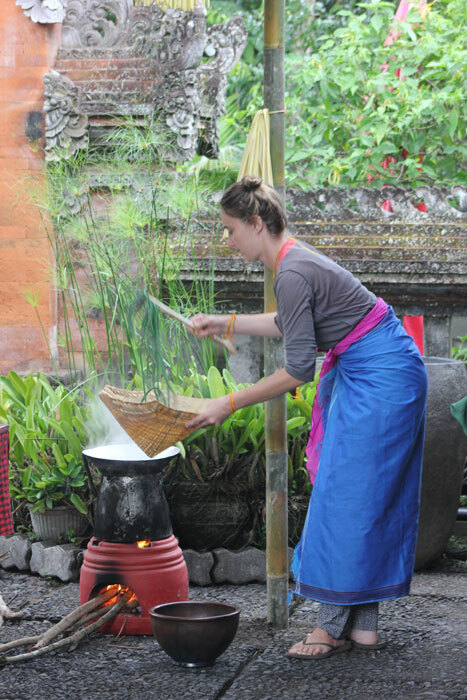 You will start either in the morning or late afternoon by visiting a traditional market to buy all ingredients. 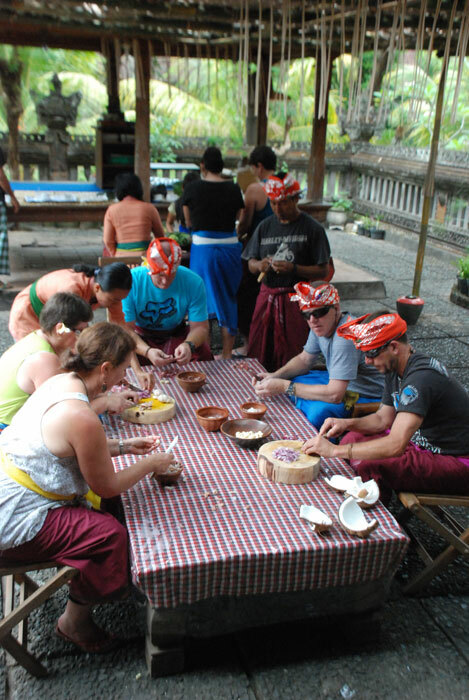 At the end of this activity, you will be able to enjoy the dishes that you have cooked, which will be a special experience for you.